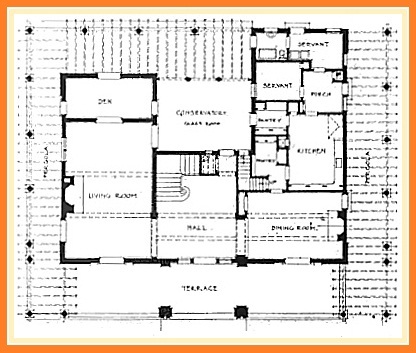 What may have been the most modern house on Berkeley Square—in form, certainly, but particularly in its construction—was the house on Lot 13 commissioned in 1909 by Los Angeles real estate man C. Wesley Roberts. Architect B. Cooper Corbett's resulting design was a prime example of what was to become a standard formula in Southern California upper-middle-class domestic architecture for the next 15 years or so: symmetrical façade, shallow roof, and stuccoed-brick outer walls—or in the case of #21, precast concrete outer walls. The use of concrete in construction was not new, having, in fact, been used by the ancients; locally, it had been employed in building since the 1870s. There were constant efforts to make the material more economical and to lessen the need for elaborate forms and scaffolding. There were, of course, individual concrete blocks, a method brought to a particular level of sophistication a bit later in the Los Angeles area by Frank Lloyd Wright with his textile blocks. (While Wright's houses built of them appear to have the integrity of the pyramids, they were to become maintenance nightmares and somewhat less solid than one might have thought—the 1924 Ennis house on Glendower Avenue is a famous example of the drawbacks of Wright's method.) Some concrete buildings were actually poured in place in virtually one unit; others were built by pouring one circumferential ring of concrete atop another. In some cases, concrete panels were cast horizontally on the ground and raised into place. In his house for Roberts, Corbett used upright precast concrete panels for his forms, which were not removed after inner walls were poured but left in place to become permanent parts of the structure, with some detail molded in. Though it is hard to determine if concrete was a major component of other houses on Berkeley Square other than in foundations, a number of architects who built there—including Charles Whittlesey, Arthur B. Benton, and the Myron Hunt–Elmer Grey partnership—were known to have used concrete in residential work elsewhere in the city. 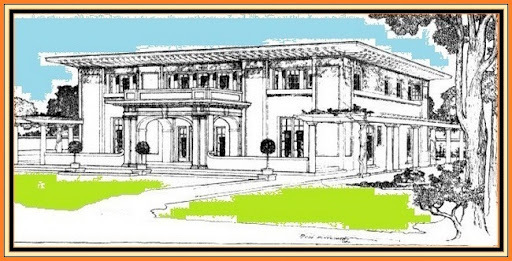 A building permit was issued by the city to Wesley Roberts on December 3, 1909, to begin the foundation of the Corbett design on Lot 13 of Berkeley Square; adding to the complicated changes of the tract's addresses due to the city's 1912 annexation-related renumberings, Roberts—perhaps a superstitious man, or a pragmatic one, anticipating resale—decided to designate the new house differently. What would normally be designated 13 Berkeley Square became #14, evolving into #21 in 1913, with the former #22 across the Square becoming the new 14 Berkeley Square. 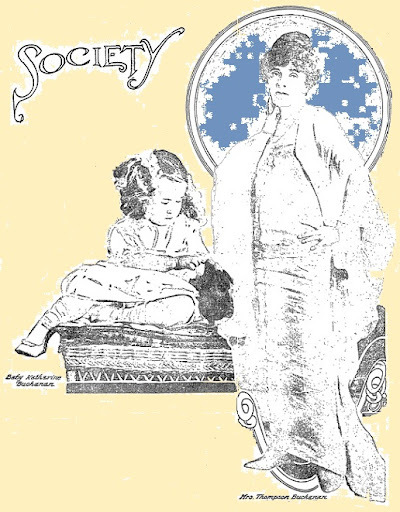 The Los Angeles Times of December 26, 1909, described the Roberts house vaguely as "Italian Renaissance" in style and as having two stories and 12 rooms. Roberts, a contractor and a real estate operator who began his career as one of the city's most active subdividers of residential properties at the turn of the 20th century, later built significant downtown office buildings as well, including the Broadway Arcade. 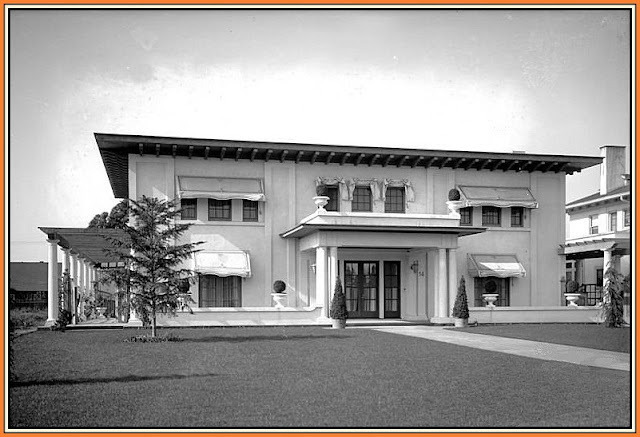 While he often built houses for sale, it was the one on Berkeley Square that he chose to move his family into upon completion in 1910.
estate pages of the Los Angeles Herald on May 4, 1912. Wesley Roberts was an establishment man, a member of the California Club and the Los Angeles Country Club and one of the founders of the very exclusive Bachelors Club. During his busy career he managed to get into a few scrapes, including once having been charged with knowingly renting apartments to the proprietors of a bucket shop and later being sued by a former business partner who claimed to have been swindled. Real estate in a boomtown was never for the faint of heart, however, and Roberts didn't miss a beat. As for his own houses, which he changed with some regularity, he seems to have maintained an affinity for concrete construction. When he left #21 in 1920, he moved to 241 South Norton, a house still standing, and then in short order to 2151 West 21st Street, a house also still standing one block north of the site of Berkeley Square, on the very north edge of the freeway (the south side of the block is walled off and under the Western Avenue on-ramp). The house on 21st Street is, interestingly, a near twin of 21 Berkeley Square. Wesley Roberts and his wife, née Ivy Gardner, began their family while living at #21; daughters Eleanore and Katherine would grow up to be glamorous gals about town, darlings of gossip columns at one point, though not in any unpleasant ways. About the only misstep was Katherine's marriage to Russell W. Thaw, ace-aviator son of none other than Floradora Girl Evelyn Nesbit and Harry K. Thaw, he infamous for shooting to death Stanford White atop Madison Square Garden in 1906, unable to forget his wife's teenage affair with the fiftysomething architect. Apparently Russell's charms and airplanes were enough to overcome such an outré background, and Katie's propeller-set life between New York, Long Island, and Palm Beach was swell enough, at least until Harry dumped her to fly off with his lady copilot after three years. While Katherine and her sister were often featured in the Times's "Chatterbox" column—it helped that Eleanore wrote it at times—other editors at the paper seemed to enjoy reporting the antics of the aging Evelyn and Harry, divorced since 1916. She was back to doing burlesque and nightclub floor shows while telling reporters that what she really wanted to be was a stripper. Harry—accounts vary as to whether he was actually Russell's father, the child having been conceived while Dad was incarcerated in the Matteawan State Hospital for the Criminally Insane after the shooting—was frequently in the news for his legal troubles, and seemed to enjoy being interviewed for no reason other than his tedious notoriety. Katherine married again, to John Swigart; Eleanore married Franklyn Phillips, and at one point lived in her parents' last house at 505 South Irving Boulevard in Windsor Square. Union Oil would be well represented in Berkeley Square over the years, Gurney E. Newlin of #3 and Robert D. Matthews of #12 among the company's associates living there at one time or another. 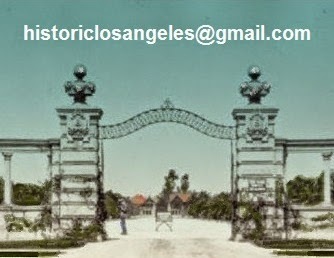 Union vice-president and general manager Elmer West Clark and his wife Sarah, who was Ivy Roberts's aunt, lived at 2140 South Western Avenue near the east gates of Berkeley Square in the 1910s; the Clarks were solid Angelenos, all very establishment and known for their philanthropy, including the gift of the largest church organ west of Chicago to Immanuel Presbyterian on Wilshire Boulevard. In July 1917, perhaps after a glass of champers or two, Mrs. Clark was involved in an automobile accident, her chum Mrs. Charles Wellington Rand of Wilshire Boulevard at the wheel. Though the plunge off a coastal roadway near Portuguese Bend was thought in initial reports to be fatal for Mrs. Clark, it wasn't. She spent her convalescence at #21 under her niece's care; by 1921 she was well enough to christen Union Oil's tanker La Placentia, although, with Prohibition now in effect, ginger ale was probably the bubbly involved. The Roberts/Clark connection to #21 was to last for five more years. Next up was a man in showbiz. Thompson Buchanan was a journalist turned novelist turned celebrated New York playwright before coming to "the Coast" in 1920 to try his hand in pictures. In 1915, in the midst of his years of Broadway hits—which included shows such as A Woman's Way and Civilian Clothes that could have been been set among the bosomy matrons and debutantes of Berkeley Square, he married 31-year-old über Chicago socialite Katharine Winterbotham. With their young daughter Katharine, the Buchanans settled—for a time, at least, and appropriately enough—among the bosomy matrons and debutantes of Berkeley Square when they moved in to #21. The usual frothy dinner parties ensued, though this was not the typical Square household headed by a starchy downtown businessman—even if Mrs. Buchanan was a bona fide Social Register matron, given its Hollywood connections, #21 was a bit arty. A son, Thompson Jr., arrived in 1924. Thompson Sr. spent his days in the scenario department of the Goldwyn Studios, on whose lot a bit player named Joan Lowell also hung out. The scenario then writes itself: the Mrs. splits for points East, 24-year-old Joan and 50-year-old Thompson marry in October 1927. Joan gets literary herself, publishes an oceangoing autobiography that is a bestseller until exposed as mostly fanciful; May-December dissolves. "Sea Writer's Love Bark Hits Rocks" was the Los Angeles Times's headline after Joan and Thompson parted amicably after a Mexican divorce in 1929. In spite of her worldliness, both real and invented, she claimed to be fonder of country life at her stone house in what she called, appropriately enough, Cradle Valley in Bucks County than of the Rhapsody in Blue Manhattan that her husband preferred. In an amusing postscript, Time magazine reported on July 10, 1933, that "when blonde beauteous Katharine Winterbotham Buchanan, 49, married an Indian Oxonian from Madras named Kumar Jehan Seesodia-Warliker last May, Chicago society, startled, warmly debated the race issue. But the union outraged the bride's divorced husband, Thompson Buchanan, who had himself meantime displayed an adventurous spirit by marrying Authoress Joan (Cradle of the Deep) Lowell. He marched into a Kentucky court, asked and got custody of his 9-year-old son and namesake on the ground that Seesodia-Warliker, no Caucasian, was unfit to keep the boy. With Thompson Buchanan Jr. the Seesodia-Warlikers went to Ontario, closely followed by Mrs. Buchanan-Warliker's brother who also laid claim to his young nephew. Before an Ontario Supreme Court Judge last week was the Solomonic question of turning the youngster over to his Hollywoodish father, his coffee-colored stepfather or his socialite uncle from Chicago." It seems that Thompson Sr., a notable snob to begin with, was more of the xenophobic mind of sometime visitor to #18 Supreme Court Justice McReynolds than an a freethinking artist; at any rate, it was no doubt that the staider elements of Berkeley Square were glad to have seen the backs of the Buchanans by this time. newspaper illustration above it—it is his second wife: Mr. and Mrs.
in 1929—Cradle of the Deep. Unstable is too strong a word for it, but it's true that #21 saw more comings and goings of Bekins vans than did the average house on the street; if the Square was the New York co-op building to which the previous tenant fled, it would have accrued a fortune in flip taxes on #21 alone. It is not clear whether the Frank H. Reilleys bought or rented #21 from the Buchanans, who'd left in 1926, but, of course, they weren't strangers to the 'hood. When the Reilleys left #10 in late 1925, their children grown, their move to the Gaylord on Wilshire was described by the Times as permanent. But Berkeley Square inspired homesickness in more than a few residents, and after a year of apartment living in Los Angeles—which the medically minded might say is a contraindication—Frank and Flo and her mother, Mrs. Cummins B. Jones, were back in the fold, across the street and five houses down from their old place. After Frank retreated to Rosedale in the early '30s, Flo, who it seems might have been the one who preferred apartment living all along, left the Square and moved downtown to the Biltmore, where she died in 1943. Her mother preferred the Huntington in Pasadena, where she lived until she died at 99 in 1952. Then things turned French at #21.
fom the Ville de Los Angeles a decade later. Pioneer Los Angeles department stores were well represented on Berkeley Square. Coulter's Dry Goods was ably shepherded through many decades by Alice Coulter and Robert McReynolds of #18. While Georges and Germaine Fusenot's association with the family store was long over by the time they arrived on Berkeley Square in 1930 and the store name itself had just vanished from the retail scene, the Ville de Paris was once one of the largest department stores in town. Coming from France in 1873, Germaine's father Auguste Fusenot settled in San Francisco and became a partner in that city's famous City of Paris store; with a slight twist of name, he founded the Ville de Paris in Los Angeles in 1893. His wife Marie was the nominal vice-president of the business, but when Auguste's health began to deteriorate around 1905, an able nephew of his was recruited from France to head the Ville de Paris and, while they were at it, marry Germaine. So it was just four months before Auguste's death in May 1907 that cousin married cousin and Germaine became Germaine Fusenot Fusenot. Georges and Germaine lived full-time at #21 only briefly before throwing dustsheets over all the Louis this and that in 1933 and spending the next few years in Paris. They returned in 1936, and were to maintain their presence on the Square until the early '50s. 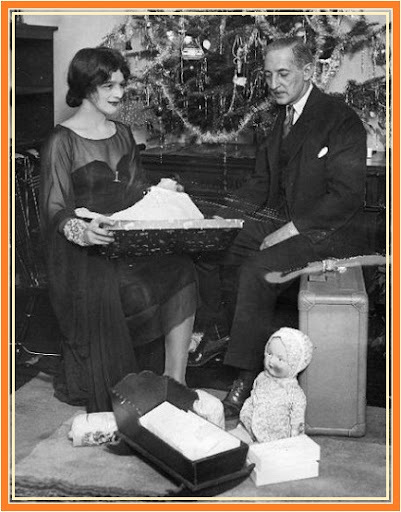 During the war years, Georges was president of French War Relief Inc. After his death in 1963 and Germaine's in 1974, the couples' loyalty to Los Angeles has remained in their Georges and Germaine Charity Foundation, which continues to benefit dozens of social service organizations in the city each year. The family of Flipper Tate Fairchild Sr. succeeded the Fusenots at #21 and saw the house through its last decade. According to his son Halford's profile in History of the Association of Black Psychologists available online, Fairchild was born in Little Rock in 1912; it appears that he arrived in California in the mid 1930s. He was listed in the 1942 Los Angeles city directory as living at 2133 South Harvard, two blocks from the east gates of Berkeley Square. (That house no longer stands, possibly a victim of the freeway. But it appears to have been across the street from the still-extant dwelling at 2203 South Harvard, once the home of Hattie McDaniel—the woman who was instrumental in opening the neighborhood to all.) At the time of his move to the Square, Fairchild was living with his young family on 37th Drive near Normandie; over the course of his career he was a gardener, a postal carrier in the area of the Farmers' Market, and an insurance salesman, all of which hard work would lead to his being able to own rental properties later on. He and his Japanese American wife Yuri had three children, Tate, Bonnie, and Halford, the youngest, who mentions in his profile having attended the 24th Street School next door to the Square. Among the entertainments during the Fairchild years at #21 was a lavish Japanese Tea Party benefit in 1957 reported by the Los Angeles Sentinel. Mrs. Fairchild was a businesswoman as well as a hostess, wife, and mother; while living on the Square she founded Fairchild Tax Service, a firm still in family hands after more than 50 years. Dr. Halford H. Fairchild not only runs the company today, but is also a distinguished professor of psychology at Pitzer College in Claremont. His father would live until 2001; his mother until 2003. The last city directory to list the now 50-year-old concrete house at #21 Berkeley Square was issued in 1960 and included the Fairchilds. After leaving the Square, the family moved to 1651 Virginia Road in Lafayette Square, taking their phone number—REPUBLIC 2-3223—with them. As with all addresses on the north side of the Square, #21 was gone from directories afterward.